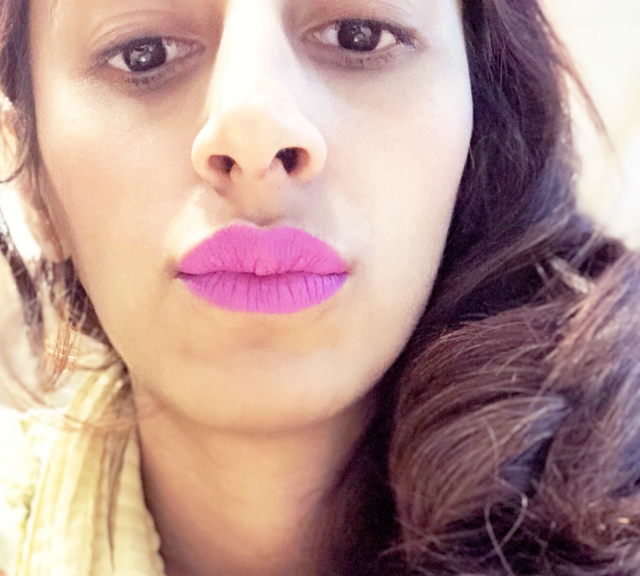 This is a small measure of my love for lipsticks and I am someone who feels that I can never have enough lipsticks and my undying love for lipsticks is continuously growing. Unlike, most of the time, My first attempt to swatch was not a disaster and I immediately loved the formula. 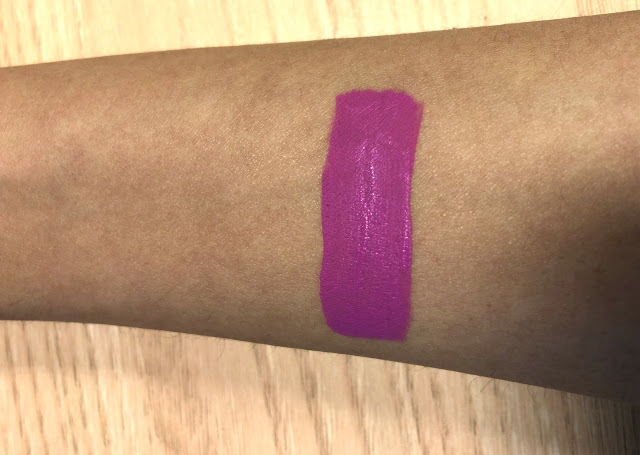 This is not a shade I would reach for in normal days so after a few days I again gave it a try, so here's my final verdict after wearing it for quite a few times. “K-Dub” is a mauve pinkish red shade with cool undertones with a completely matte finish. DESCRIPTION: Now in 42 creamy shades, this breakthrough liquid lipstick gives lips long-lasting wear and high-pigment color. Its creamy, color-rich formula glides over lips as effortlessly as a gloss, but dries to a true matte finish that feels weightless all day long. It’s infused with natural comfort-enhancing ingredients, including vitamin E and sunflower seed so you can flaunt lasting matte color. #VeganAlert! 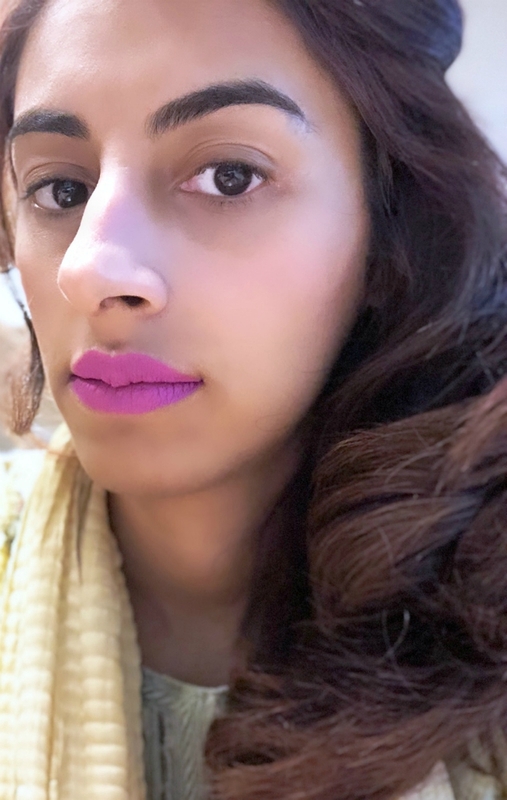 Everlasting Liquid Lipstick is completely free of animal-derived ingredients. Packaging : This lipstick comes in a black cardboard packaging, which has some really attractive prints in silver. The brand name is embossed in metallic fonts. 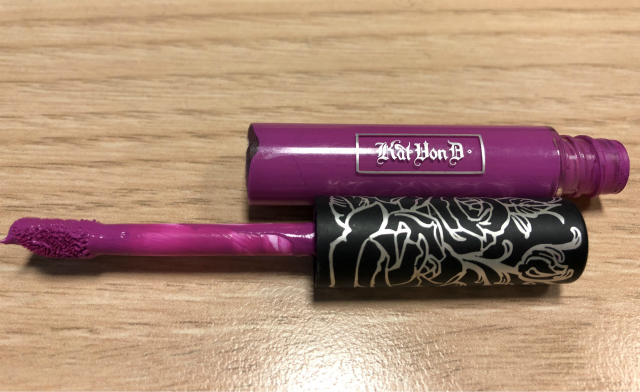 The lipstick tube is clear with some intriguing patterns over it. 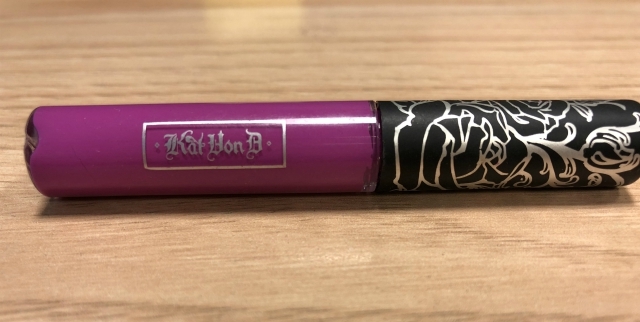 This lipstick has a doe-foot applicator with a wand that’s neither too long nor too short. Overall, the applicator is apt for precise application. Texture : The texture of the lipstick is soft and smooth. The consistency is so thin that it goes on so smoothly and glides easily on the lips but with that You have to be extra careful during application because a tiny mistake shows up badly in case of such bright shades. I Prefer using this lipstick brush for precise application. Application : The lipstick dries out super quickly in a few seconds. It feels so feathery light and comfortable on the lips. It does not feel dry at all. Pigmentation : This lipstick is insanely pigmented and gives a complete opaque coverage in a single swipe. A little amount is good enough to give an intense color. Smell : It has no scent at all. I would have loved it more if it had a slightest of the smell though. Lasting : It lasted for 7-8 hours on my lips without any meals, but it starts to feel dry after 3 or 4 hours. It fades away unevenly with a full meal. The lipstick is somewhat transfer proof so its an additional plus. But it stains and transfers a bit when it comes in contact with water. Pretty Packaging , lightweight, effortless Application, Long Lasting, transfer proof, kiss proof, highly pigmented. It's a Complete Package !! If you haven't tried it yet, you MUST! .